stronger surface cyclone during the Day 5 period.  forecast beyond Day 5 is too low to warrant any areal inclusions. point warrants a Day 4 area. Updated graphic was pushed north a tad away from the immediate coast, but this looks to be a pretty significant outbreak. This outbreak should be interesting. 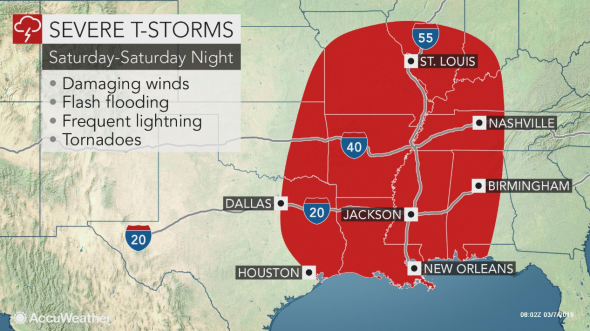 I'm going in tomorrow morning for elbow surgery and won't be able to do my usual severe weather dance, which involves me going from back patio to carport to front porch to watch different angles of bad weather . 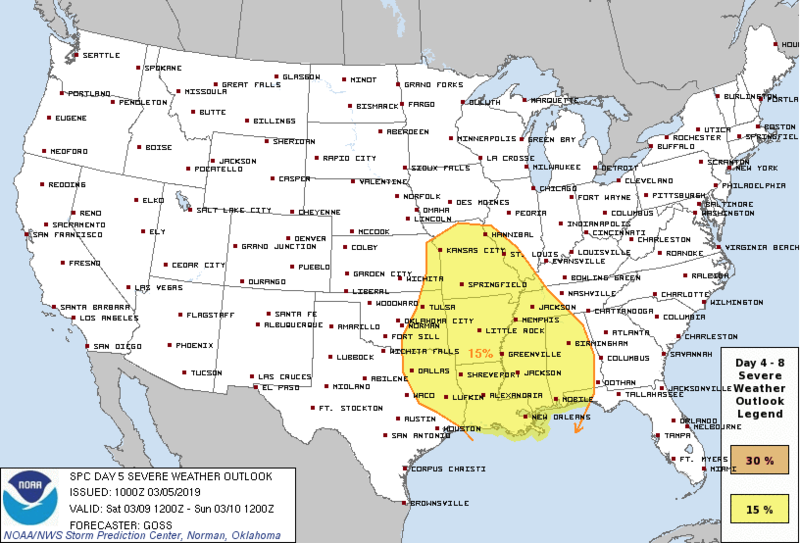 The SPC has southeast Louisiana highlighted in a 15% Severe Risk area for early Sunday. 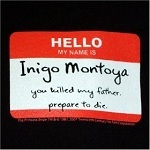 Have to monitor the latest trends. Spotter activation is not anticipated through Friday. So is the thinking this will be an overnight thing in the BR area? I hate overnight severe weather. Can someone give better timing on when this weather is coming through? We have an event in BR from 7-10, so we are wondering if we should stay the night so that we aren't driving back in it. 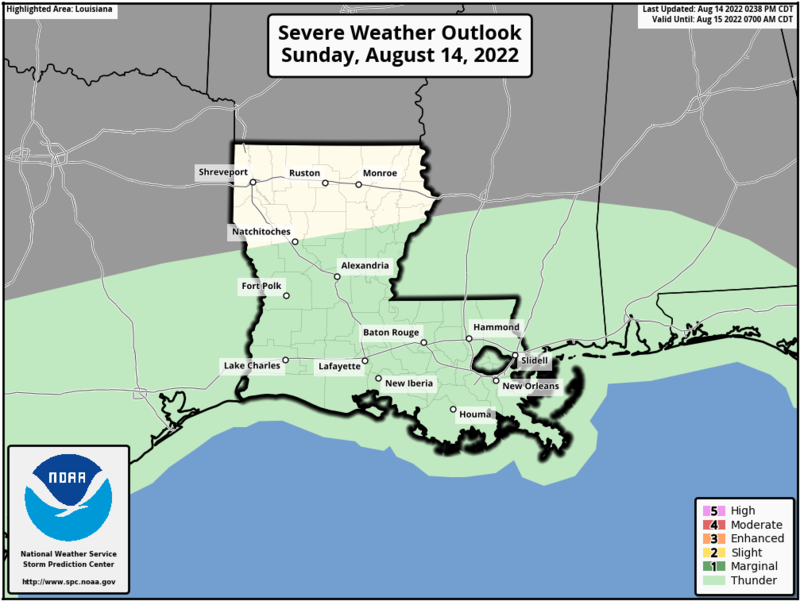 So far a Slight Risk for northern half of Louisiana, skimming the north shore parishes. 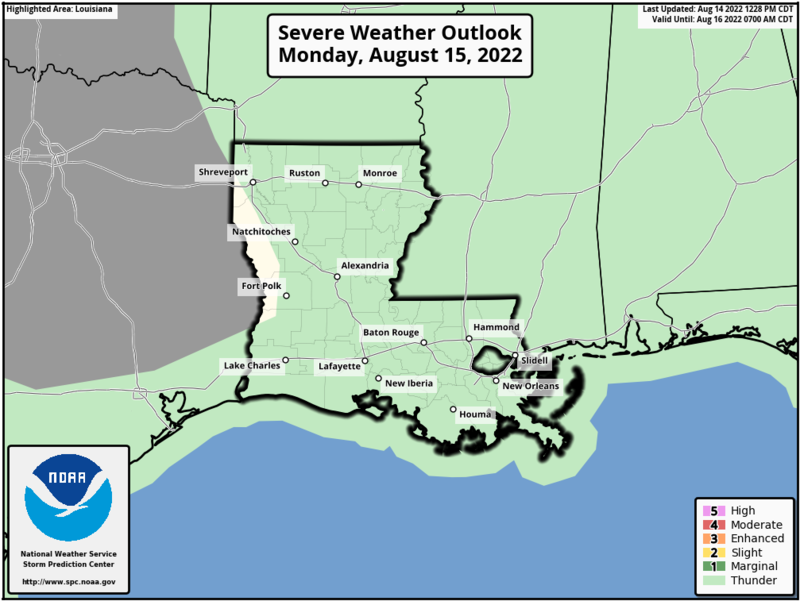 So far the bulk of the severe weather threat remains north of our region, however latest models this morning do show a stretch of enhanced severe potential from Baton Rouge across teh north shore into south Mississippi. Gonna have to watch the trends over the next 24 to 36 hours. 12z NAM and GFS keeps much of the weather well north of us. Much better potential for storminess during the middle of next week. 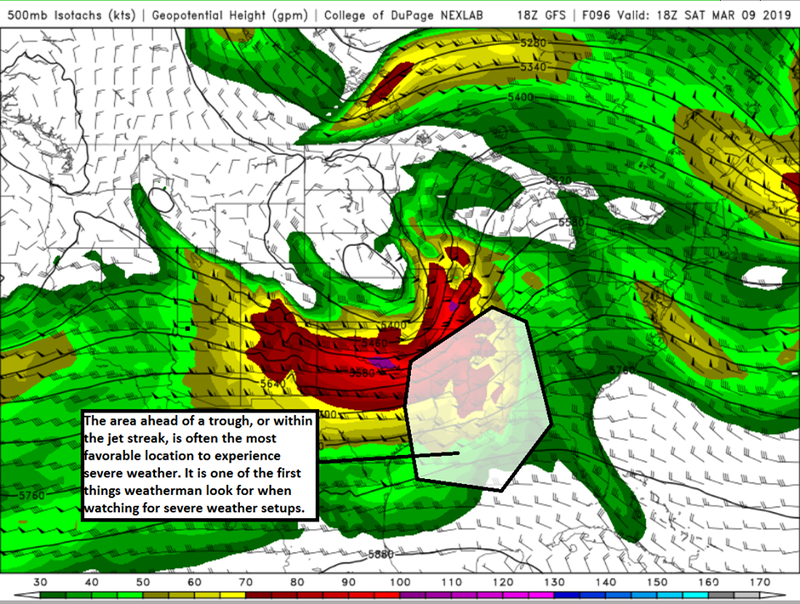 severe, mainly in northern portions of the area Saturday night. Enhanced Risk far north of our area. 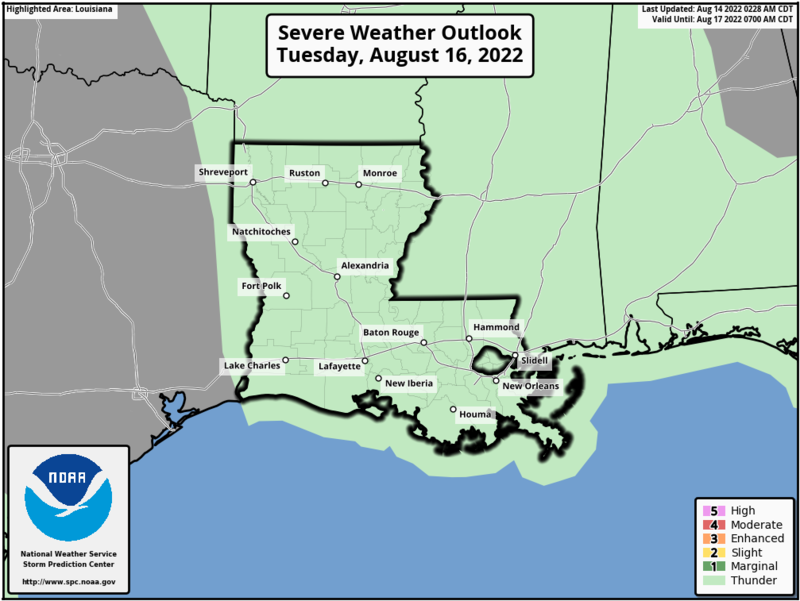 Only a Marginal Risk skirting the north shore parishes. Some models show little to no rain locally. What is the risk for tomorrow night? Virtually nonexistent for southern La. NWS keeps pulling the severe threat farther north.